This Saturday, a new project called Neidhoefer will play its first show ever and release its debut album at a rather unconventional venue. This site of this momentous affair is Dandy Midventurous Modern, a vintage store on Vliet Street. Since opening last year, the retail shop has also dipped a toe into hosting concerts and comedy shows in a spacious room behind the store. Dandy isn’t the only occasional venue that’s much better known by customers as something else. They’re far from it, in fact. In addition to the dozens of traditional venues and bars that are dedicated to routinely offering entertainment all year long, metro Milwaukee is home to a wide variety of unconventional performance spaces that have a dual identity. From concerts in caves and domes to comedy in breweries and bowling alleys to dynasty rappers in restaurants and strip clubs, here are 20 uncommon Milwaukee area venues. Sure, other Milwaukee record stores sometimes host in-store performances for occasions like Record Store Day and when a select few artists pass through town, but Acme Records & Music Emporium makes a habit of booking events all year long. Since opening in 2012, the Bay View record shop has gradually become a trusted site to catch local bands and niche touring commodities (most notably Matador’s Steve Gunn) on its small stage. Almost every show is all-ages and free to attend, with patrons encouraged to bring their own beverages. Just west of Acme Records at the edge of Bay View, you’ll find Bounce Milwaukee. The young business wears a lot of hats, as they offer an indoor inflatable play land, laser tag, arcade cabinets and pinball machines, meeting space, a full bar and restaurant, axe-throwing, as well as a safe and welcoming atmosphere through its various charitable and community-minded efforts. Though you can be sure Bounce offers a lot, you might not be aware that the business will turn into a temporary concert venue from time to time. Recently, Bounce welcomed in the new year with a performance by DJ Abilities (of Rhymesayers fame). It’s also hosted a potion of the PRF BBQ when it came to Milwaukee in 2017. Miller is understandably pretty protective about letting people into “The Caves,” but every so often, the historic brewery allows curious concertgoers into the historic relic (that, simply put, used to serve as Miller’s cooler) when they host intimate events there. Back in December, Horseshoes And Hand Grenades headlined two shows in The Caves at Miller Brewing. Years prior, the unique space hosted a rare concert for actor John C. Reilly. Whether you’re there for a private function or a performance, you can be sure you’re in for something special. We’ll admit that including a suburban bar on this list isn’t exactly playing into the whole “unconventional” part of this. That said, when that bar and grill is located in Cudahy and it’s hosting gold record-selling and chart-topping rappers in their beer garden, we’re going to note it. In spite of its limited interior space, City Lounge decided to erect a tent and book Bubba Sparxxx…TWICE. When Bubba isn’t in town, City Lounge also hosts local comedy every so often, as well as regional performers and, um, Pat McCurdy. As we mentioned above, Dandy is a vintage store by day. However, the “midventurous modern” shop takes on a different persona on select nights and weekends when it turns into a makeshift comedy club and hosts concerts. Recently, Milwaukee Comedy has brought stand-up to the store with “A Dandy Comedy Show.” Saturday’s Neidhoefer release show will serve as Dandy’s foray into live music. With its mixture of space and style, expect Dandy to become a semi-regular fixture for hosting events. About a year into its existence, Good City Brewing transformed a portion of its East Side brewery into “Good City Hall,” a cozy venue that can accommodate over 100 guests and host live music (typically in the folk and Americana realm so far) as well as comedy in a space that’s separately situated from the rest of the brewery and restaurant. Before the local brewery boom, Lakefront was there to help put Milwaukee on the craft brewing map. Similarly, before the influx of Milwaukee breweries hosting events, Lakefront was also a little ahead of the curve by putting on events in its massive taproom. For the past few years, Milwaukee Comedy has hosted its monthly “Keg Stand Up” showcase in the space, which brings local and national comics to the stage for an unbeatable pastiche of laughs in a distinctly Milwaukee setting. The Domes are amazing. 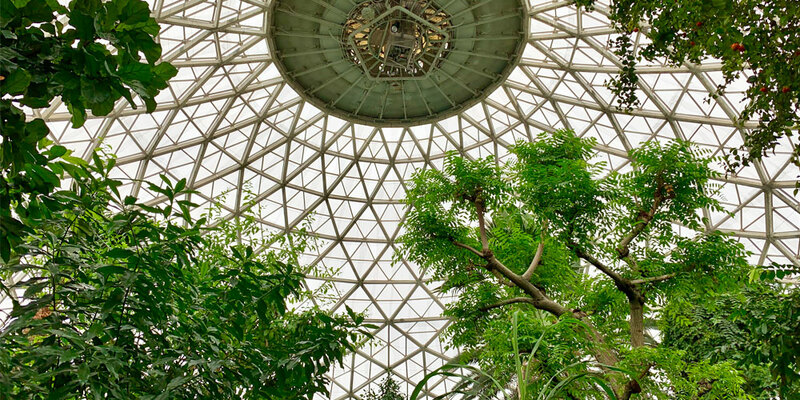 Beyond being a beloved local landmark, the Domes also offer people a place to enjoy farmers markets, the Urban Garage Sale, and even concerts. Sure, you’ve seen The WhiskeyBelles, but you haven’t lived until you’ve seen them in the Mitchell Park Domes. Remember that old story about how the Violent Femmes were discovered while busking outside of a concert at the Oriental Theatre? Yes, the historic movie house used to be a go-to spot for concerts. Though live music happens there far less often these days, the Oriental was the site of Fever Marlene’s last album release show. Last year, RZA came to perform a live re-scoring of 36 Chambers Of Shaolin. Less than two years after opening west of downtown, Pabst Milwaukee Brewery & Taproom has already hosted a pair of massive block parties (one of which featured the likes of Arrested Development!) outside its facility. Inside, Pabst Milwaukee is also starting to become a trusted entertainment destination. With a capacity that can host upwards of 250 guests, the taproom is a prime place to see local and national bands, along with regional comedians. On April 5, you can see The Goddamn Gallows and Scott H. Biram there. Everything is better with a sandwich. Over the past few months, audiences have learned that firsthand with Dana Ehrmann’s “Live From The Peanut Butter & Jelly Deli” stand-up comedy showcase at the West Allis sandwich shop. The next installment is February 7. If you were to make a list of places you’d be least likely to see Public Enemy, Red Dot in Wauwatosa might be on it. Somehow, the restaurant (which, sadly, was demolished after a fire last year) had the influential rap act perform at family reunions there on two separate occasions. What a world! 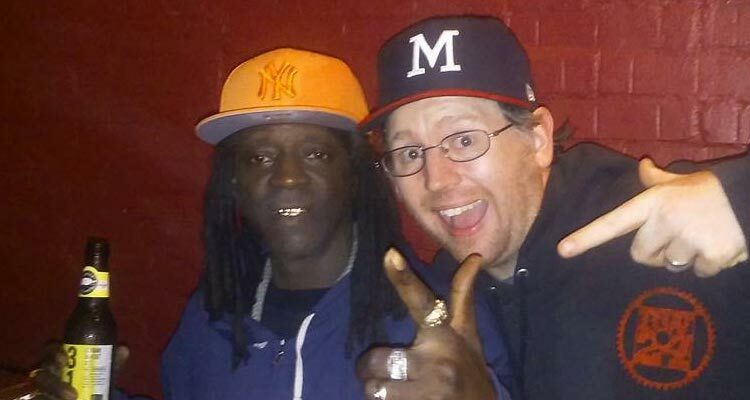 Though Red Dot Tosa is no more, we’ll always have memories of Flava Flav being there. Read more about the first Public Enemy pop-up concert here. Yep! We saw 2 Live Crew there in 2015. Not only is The Sugar Maple one of Milwaukee’s finest beer bars. It’s also a trusted place to catch concerts and comedy shows. Sugar Maple regularly hosts stand-up, and every now and then, they’ll book notable bands like The Ex and Ken Vandermark. The Lincoln Warehouse has become a hive of activity in recent years. On top of the TWO breweries currently occupying the property, Lincoln Warehouse is also home to Twisted Path. The craft distillery recently moved into an inviting ground-floor space that also features a brand new stage. To this point, the stage has primarily hosted folk and Americana outfits, but they’ve also delved into comedy, too. Another Milwaukee brewery taking advantage of the comedy boom and club closures is Urban Harvest, a new Walker’s Point microbrewery that doubles as the home base for Mojo Dojo. Since late 2016, the local improv collective has hosted two or three shows a week in the brewery’s cozy performance space in addition to its “Open Dojo” improv classes each Wednesday. Late last year, Kevin McDonald of The Kids In The Hall fame treated the 50- to 60-person to an unforgettable show. When Dinosaur Jr. and Sebadoh member Lou Barlow wanted to play a small solo show in Milwaukee last summer, he didn’t call upon a “normal” venue. Instead, he dropped by Bay View’s Southwest-themed retail shop, URSA, to play. One more instance of Milwaukee Comedy bringing stand-up to a unique spot is the outfit’s SUBJECTIVE show, which takes place at the intimate and artsy 40-capacity gallery each month. Var also hosts local bands on its stylish stage regularly.